Quality Industrial Labels at Data Graphics Inc. Quality Industrial Labels at Data Graphics Inc.
You can’t take chances with industrial labels. 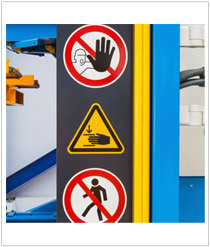 Nobody can completely escape cost as part of the buying decision, but you have to invest in industrial labels that will last. We still see industrial labels printed decades ago by our team. 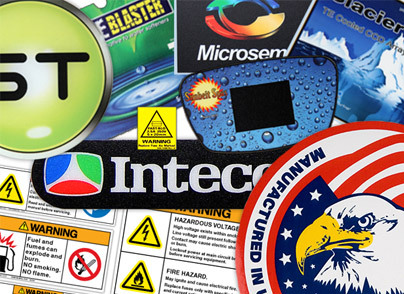 Why Choose UL Labels from Data Graphics Inc.? 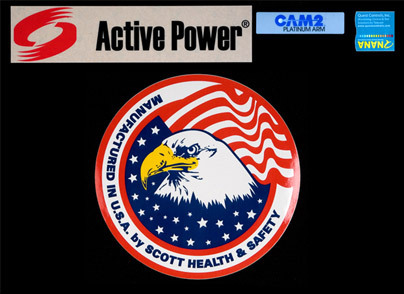 Our custom UL labels are manufactured to the highest UL standards. 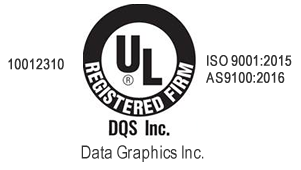 Data Graphics is an authorized UL Label supplier. We offer Type R and Type L compliant labels, as well as PDGQ2 designations options, such as polycarbonate, aluminum, vinyl and polyester. We make them available in large rolls, multiple sheets, individual pieces, multiple label sets or kits. We can produce adhesive-backed labels or include mounting holes for windows and difficult surfaces. Unsure what will work best for your project? Overwhelmed by your options? Reach out to a Sales Engineer to learn more. We create the custom labels businesses use for commercial purposes, industrial purposes, retail products and programs. Nonprofits and individuals also hire us to produce labels to help spread the word on their programs and events. 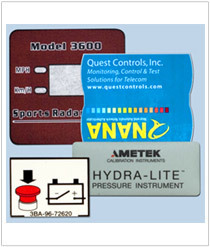 Custom labels come in all shapes, sizes and vary in cost according to your requirement. 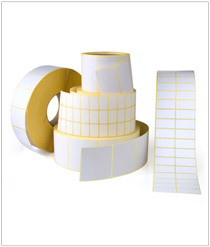 We take pride in creating the best quality roll labels, safety labels and vinyl labels to fit your needs. Our labels are much more than cheap stickers. They can be printed on a number of extremely flexible and durable surfaces for indoor or outdoor purposes. We can even incorporate chemical solvents that have high resistance to oxidation and corrosion for those extreme climates and environments. We can also print our labels using lightweight plastic, aluminum, paper, polyester, Metalphoto®, polystyrene, polycarbonate, Lexan or vinyl for hard-to-stick-to surfaces. We can embellish our custom labels with etching, lamination, direct images screen printed, or digitally printed with 4-color process to help it visually jump off the surface and get noticed. We can also give your labels a custom shape with our specialty dies.